EDITOR’S NOTE: Today’s guest author is Thomas B. Roberts, Ph.D, an Emeritus Professor in the Honors Program at Northern Illinois University. He is author of The Psychedelic Future of the Mind, co-editor of Psychedelic Medicine and editor of Spiritual Growth with Entheogens. His website is: niu.academia.edu/ThomasRoberts. Below, he reflects on the history and purpose of his course in Psychedelic Studies, one of the first to be offered in the U.S.
“Well,” I thought, “ now that I’ve started teaching a university course about psychedelics, the ice is broken. Professors in other colleges and universities can start theirs too.” So I thought in 1981. Naïve optimism can be a great asset. For the next 30 years almost nothing happened except at some specialized graduate programs near San Francisco. In 1980’s, there wasn’t much new research on psychedelics. The War on Drugs was in full swing with DARE, “Just Say “No’”, and a lock-em-up attitude. “This is your brain on drugs” aired in 1987. As Nancy Reagan said, “Drugs take away the dream from every child’s heart and replace it with a nightmare.” This wasn’t an auspicious time to teach a psychedelics course, and my optimism about other professors following suit was wildly optimistic. Now, however, things are beginning to pick up. NYU Langone Medical School – Bellevue Hospital has a course for medical students that’s open to others too, and at the University of Wisconsin School of Medicine and Health, Dr. Nicholas Cozzi includes a psychedelics unit in his Integrated Neuroscience course. Two undergraduate courses are going now, at last. The College of DuPage, a community college west of Chicago, has Psychedelic Mindview, which is mostly oriented toward both mental health professionals and the general student body. Best of all, the University of Pennsylvania Comparative Literature and Literary Theory Department, for the first time in the fall of 2014, offers Drug Wars: The Influence of Psychoactive Rhetoric. The exact origins of my course are lost in the mists of history and the fog of my memory. I know that in the early and mid-1970s, I offered a special topics course on transpersonal psychology. This was probably in the wake of a conference I organized in 1973 that looked at consciousness and transpersonal psychology, including psychedelics. 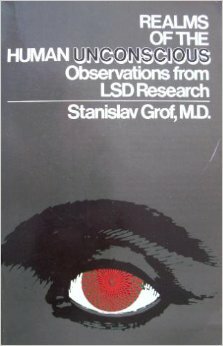 I know that when Stanislav Grof’s Realms of the Human Unconscious: Observations from LSD Psychotherapy was published, the class took turns reading chapters from my copy and discussing them in class. That was 1975. To advertise the course, I put up posters around campus and visited buildings and corridors I had never seen before. All was not smooth, however. My assistant faculty chair called me into his office one day to tell me that he had received a telephone call from the assistant provost asking about whether psychedelics was an appropriate topic for a public university. This mounted me on my high horse, and in a serge of adrenaline I wrote to the assistant provost a letter outlining some topics. 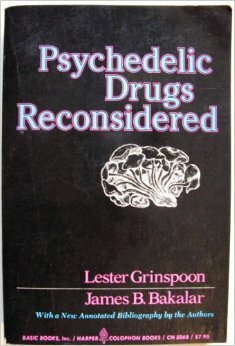 Fortunately, the paperback editon of Psychedelic Drugs Reconsidered by Lester Grinspoon, M.D., and James Bakalar, J.D., had just been printed. It contained an excellent 40-page annotated bibliography of research. I photocopied it and included it, thus making my point that there was solid scientific and humanistic research on the topic. Feeling indignation and self righteousness, I wrote that I didn’t consider his job description to include censoring ideas and that if he wanted to discuss the matter, I’d be happy to do so at an open meeting of the University Council. Traditionally, decisions about the contents of courses officially rested with each department. Since the University Council was composed of representatives from each department, I know they would jealously guard this prerogative. Two days late, my assistant chair told me the assistant provost called and said that he had inquired because someone had asked him about it. From then on, there’s been no more flak from across campus. Since then, I’ve moderated my reactions. I now realize that people’s concerns are for the general public’s good, and that they are merely misinformed by political propaganda and scary news stories. Also, many people take two or three exposures before they feel at home with a new idea, so an easy-going approach probably works best as exposure number one. If an occasion to teach about psychedelics arises, I hope to be able to approach it as an opportunity to teach the inquirer rather than browbeat him. Now, of course, the general attitude toward psychedelics is shifting as both professional publications and news media regularly run articles on psychedelics as adjuncts to psychotherapy. In the late 1970s, my course was titled Psychedelic Research, or some such thing. It was open to both undergraduates and graduates. I was disappointed that it didn’t attract more students. There was plenty of psychedelic activity around campus in those days; I asked my students why the academic subject wasn’t more popular. One said that the word “research” scared away some math-shy students who thought they would have to understand complex statistics and/or brain chemistry. Another said that he and others were worried that the title appearing on their transcript might damage their future. There were probably several incarnations of the course’s name, but the one I remember is Psychedelic Mindview. I still like this one because a main purpose of the course is to educate people about how psychedelics increase our understanding of our minds. Although students constantly use their minds, they seldom pay attention to their minds as a subject of study; my course attempts to let them see their minds as something that might be studied and improved on as well as uncritically used. However, early in the 2000s, my assistant department chair said that my course should be made into a regular cataloged course, not just a continuing series of one-shot special topic courses. I didn’t know it, but a university policy was that after a special topics course was taught 3 times, it should have been considered as a regular cataloged course if it was to be offered again. I had my doubts that this would happen but went ahead. On the first try, the College of Education Curriculum Committee turned it down; on the second try the same year, they passed it along to the university level. The course title had to be changed to match its location in the university organizational structure, and because I was in a department that included educational foundations among other things, it was christened the awkward Foundations of Psychedelic Studies in Education. “In Education” was included in the title to prevent complaints from across campus that we were trespassing on their disciplines, a common barrier for college of education courses. The students come from majors all across campus, which enriches the in-class discussions as each draws on his or her major. One of the course’s purposes is to alert students to the implications of psychedelics for their majors. (Only math and engineering students give me problems with reaching that goal.) Occasionally, students will arrange to write a combined paper for both my class and one of their others. Second, I believe that a purpose of higher education is to teach people about their own minds: how they work, how they don’t, and ways of thinking about themselves and others. Stanislav Grof’s LSD: Doorway to the Numinous (an updated version of Realms of the Human Unconscious) presents a map of our minds as uncovered by psychedelic psychotherapy. Other current research, notably that coming from the Johns Hopkins Medical School, stimulates discussions of meaningfulness, spirituality, open-mindedness, and similar humanistic topics. A third purpose is derived from the second and includes probably the most fun assignment. Students use Grof’s map, particularly the perinatal (birth) level of our unconscious as an interpretive framework. I demonstrate how to use Grof’s map to analyze Walt Disney’s Snow White and the Seven Dwarfs, and they use the method to understand all manner of things—other movies, events in their lives, relationships, music or art, dreams, and so forth. Then they present their papers to the class. For many, this is their first exercise in psychological interpretation and opens new ways of seeing the world. A fourth purpose is to keep them up to date on current research. When I started the course, new research was sparse. Now, several new papers, books, movies, online content, and conferences come along each semester. Our general culture is just catching on to these scientific advances, so I hope the course will place the students at the forefront of this expanding cultural knowledge. Most current psychedelic news has to do with psychotherapy, and I hope following developments in the news will prepare them to be aware and informed citizens. A fifth purpose is my hope that after our class they will continue to remain informed of psychedelic advances in our society, including reforming drug policy to base it on evidence. As part of the course, they subscribe the MAPS Forum (Multidisciplinary Association for Psychedelic Studies), and I believe some of them keep reading it after the course is over. Sixth, most of the class come from public schools that required anti-drug programs. By the time they are juniors and seniors in college, most of them look back on these programs with a sense of skepticism. In fact, on days when things lag in class, I can always spark discussion going by asking them about their drug education programs. Smirks and rolling eyes are the usual result, and the prompt lets loose a series of horror stories from their drug education programs. This links their personal experiences to the official positions that shaped policies about psychedelics. I expect that the course will tame both ends of the avid pro- and anti-psychedelic extremes. Out of 15 students, probably two or three have actually taken a psychedelic drug. A few of these experimenters are overly enthusiastic and come to class with the attitude that everyone should do psychedelics frequently. As they read the texts, they modulate their positions and realize that psychedelics are best experienced in restricted situations, and aren’t for everyone. At the other extreme, some students believe the popular horror stories about psychedelics and have strictly negative attitudes toward these “evil, dangerous drugs.” By the end of the course, after seeing videos of patients and reading professional articles, they come to realize that there are specialized psychotherapeutic applications for psychedelic drugs. I like to think that both ends of the spectrum move toward a more balanced middle. Seventh– this is a welcome result but not one that I plan– some students go on graduate school in a mental health field. Psychedelic Studies alerts them to developing directions and prepares them to consider new clinical research as it is published. Some students have entered graduate programs that have to do with the brain and nervous system; others have entered innovative graduate studies in specialized program around the San Francisco area. I hope that my course will encourage other professors to offer similar ones at their colleges and universities. There is room on campus for more than one general course in psychedelic research. It’s possible for each discipline to offer a different take on the topic: History of Psychedelics, Sociological Implications of Psychedelics, Psychedelics Contributions to Art and Design, Psychedelics in Religious Studies, and so forth. Thomas B. Roberts has posted a guest article at Points about “Psychedelic Studies.” Psychedelic Studies was birthed in Roberts’ classroom in 1981. Over 30 years later, scholars are starting to explore “psychedelic studies” in a variety of settings. Roberts provides a history on his course and outlines some of the future possibilities of the field.